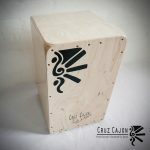 Here I share a video of one of my online youtube cajon students who bought one of the first Cruz Cajons from our online store. 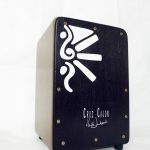 Here he is playing the Toro cruz cajon model in Cape, South Africa. 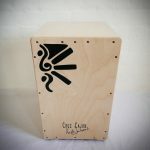 This is the second time he ever performed on cajon, I would say he’s doing an excellent job!! He also plays the drum kit. Here Gavin Young shows off its wide range of timbres and tones. The group is called “Triveno Smith Band” and the song is called “Esforzarse más”, I really like the song, it’s one of their own original compositions.